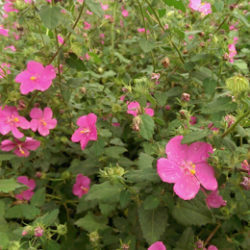 With the color of a pink rose and the appearance of a miniature hibiscus, the flowers of the Rock Rose are a true delight to people, butterflies, and hummingbirds alike! 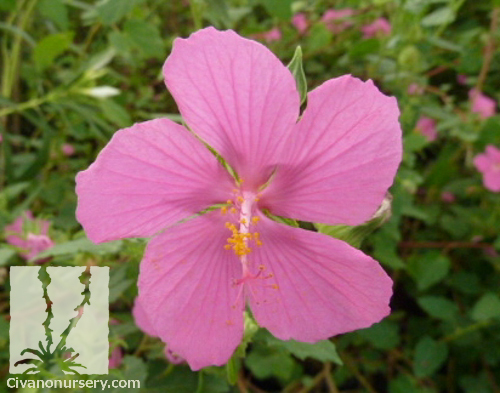 Starting in late spring and continuing into fall, these delicate flowers open in the mornings and close by late afternoon. 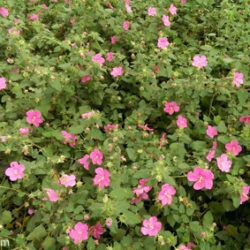 The shrub itself is airy but generally rounded, with branches clothed in light-green, fuzzy, heart-shaped leaves that can remain on the plant through milder winters. 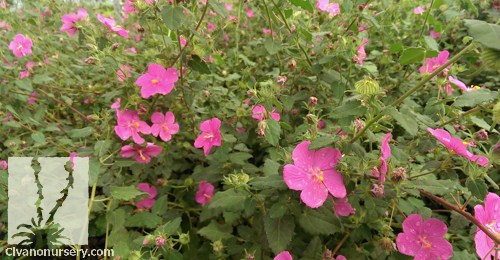 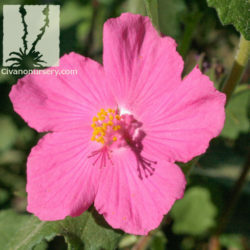 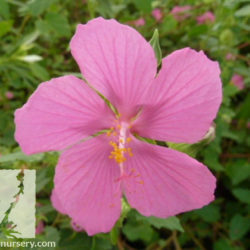 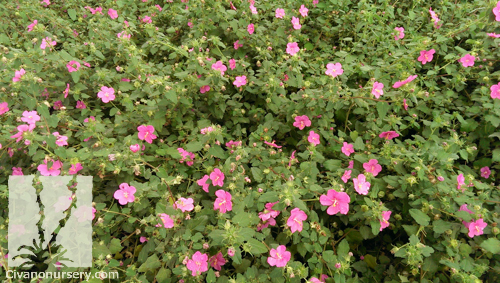 Rock Rose will flower reliably with only half a day of sun, and it performs well in a variety of soils and moisture conditions as long as it has good drainage.